Each and every week, I, “Lawful Good” Henchman21, read a lot of comics. Seriously you guys, a lot of comics. Maybe too many comics. I mean, it is possible… theoretically. Naturally, I look forward to some more than others. I mean, who doesn’t? So, let’s take a look into the depths of my pull list, grab some comics, and I’ll let YOU know what the top books to look forward to are for the week of February 6, 2012. Single issues and trades, they’re all here on this weeks GoD List. 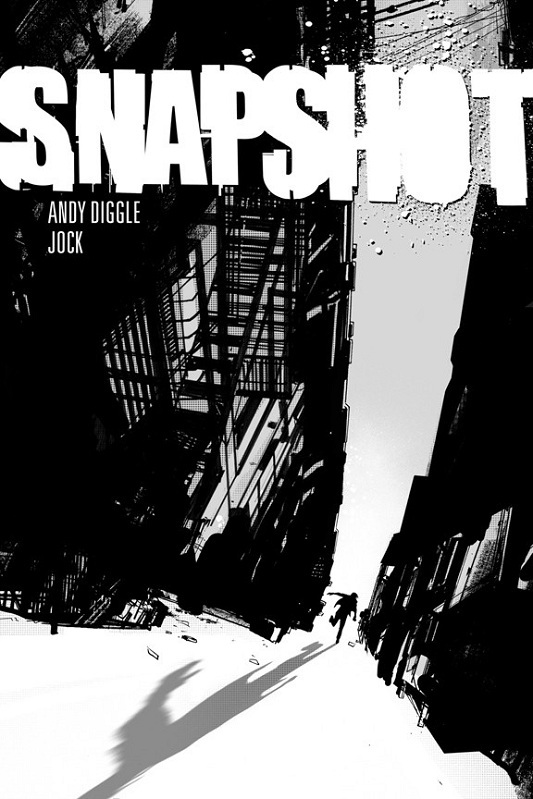 Snapshot #1 (of 4) (Image Comics – $2.99) There are comics that I will buy solely for the creative team, which is the case with Snapshot #1 from Image Comics. The series is drawn by Jock (The Losers, Detective Comics) which would be enough for me to buy it, but add in the fact that the series is written by frequent Jock collaborator Andy Diggle (The Losers, Green Arrow: Year One) and this becomes a must-buy. The series is about Jake Dobson, a normal comic retailer until the day he finds a cell phone with pictures of a murder victim on it. This would be bad enough, but he now has to escape the hit-man that the phone belongs to. Diggle has proved that he can write the crap out of an action scene, and Jock’s rough, angular style is unlike anyone else’s. Look here, I don’t care if Diggle and Jock made a comic book about Santa Claus going on a prom date on the moon and I would buy it. All of their previous books together have been somewhere between good and great, and I don’t see why this book will be any different. All New X-Men #7 (Marvel Comics – $3.99) I don’t actually have much to say about this issue, except to say that I’m still mostly enjoying the work of Brian Bendis on this series. I’m not sure where the series is going at this point. I mean, the teenage X-Men can’t stay in the present forever, right? That said, it has been cool to see the teenage X-Men react to their current incarnations and also to find out what Bendis has planned for the teams. Finally, in the time it took you to read this, 8 more issues of All New X-Men have been released. So there’s that. Animal Man #17/Swamp Thing #17 (DC Comics – $2.99 each) Kind of hard to separate these two books, especially as we come to the end of Jeff Lemire and Scott Snyder’s Rotworld epic. It’s no secret that these are two of the best books to come out of the New 52 from DC and these last few issues have been the culmination of a year’s worth of issues. It all comes to a head here as the forces of the Red and Green take on the forces of the Rot in a final showdown to save the world. Swamp Thing #17 also marks the penultimate issue in Scott Snyder’s run, and it will be interesting to see how the book does without him. Let’s be honest, you’re probably buying this anyway, so get to it already. Debris (Image Comics – $14.99) I know I talked in GoD List’s past about a few of the issues of Debris as the issues were coming out, but it bears repeating that this is a great series and I think you should buy this trade paperback if you haven’t checked it out yet. Debris is set in a future where the Earth is not much more than a wasteland filled with mechanical creatures that are pushing humanity to its limit. After the water dries up in her community, Maya goes out into the wild to find a new source of water. From there, she finds out why the world is in the state it’s in and works to set things straight. Kurtis Wiebe crafts a story that we have seen elements of in other post-apocalyptic stories, but adds enough elements to make the series feel fresh. The real star here is the art of Riley Rossmo. Rossmo’s unique style takes a step up with the series. The colors on the series also stand out, giving the book a bright palate that contrasts with the dark subject matter. This is a book that I hope everyone checks out. Or pretty much check out anything that Rossmo has done, because it’s all good. So get to it.